China Machinery Industry Federation recently released a report saying that since the beginning of this year, the machinery industry has continued its weak recovery trend since last year. However, due to factors such as rising costs and overcapacity, the entire industry can hardly be improved. It is expected to show a mild upward trend throughout the year. Under the pressure of economic downturn at home and abroad, the industry's operating situation is more severe, the machinery industry production and product import and export situation is better, showing a steady development trend. In the first 4 months, the added value of enterprises above designated size in China's machinery industry increased by 9.1% year-on-year, slightly higher than the level of the same period of last year; the growth rate of export delivery values â€‹â€‹continued to fall, showing a low level in the past two years; cumulative exports of the machinery industry maintained growth, import declines In the month of April, the import growth and export growth of the machinery industry all turned negative. From January to April, the total import and export volume of the machinery industry totaled US$203.112 billion, which was a decrease of 0.31% from the same period of the previous year and a decrease of 2.07 percentage points from January to March (-2.38%), of which export was USD113.135 billion, an increase of 4.19% year-on-year. Compared with January-March (3.95%), the increase was 0.24 percentage points; import was 89.798 billion US dollars, a year-on-year decrease of 5.47%, a decrease of 3.96 percentage points from January to March (-9.43%), and a cumulative import and export trade surplus of 23.517 billion US dollars. .
From January to April, among the 92 kinds of machinery industry import and export products, there were 35 kinds of products with cumulative increase in import year-on-year, and there were 51 kinds of products with cumulative increase in export year-on-year. Among them, the cumulative imports of the most three kinds of products for the car (including the entire package parts), auto parts and four-wheel drive light off-road vehicles (including complete sets of parts). The three types of products that have accumulated the most exports are automobile parts, wires and cables, and automobiles (including complete sets of parts). The industries with rapid growth in import growth from the previous month were agricultural machinery, food packaging machinery, and other civilian machinery industries, which were 51.45, 39.65, and 23.47 percentage points, respectively, and the growth rate increased from negative growth to positive growth. According to the report, from January to March, the machinery industry completed a fixed asset investment of 585.39 billion yuan, a year-on-year increase of 17.15%, an increase of 3.84 percentage points from January to February. Nevertheless, it is still lower than the manufacturing and social investment growth. The statistical results of the report further show that in terms of product prices, of the 142 kinds of mechanical products that were counted, the cumulative factory prices of 82 products decreased year-on-year, accounting for 57.75% of the total. Comparing the cumulative price index of March 2013 with the cumulative price index of March 2012, the price index of 101 products was reduced. Among them, products with large fallback rates are: special instrumentation for agriculture, forestry, animal husbandry and fishery (down 18%), other metal wire ropes and their products (down 9.6 percentage points), power station boilers, industrial turbines, modular machine tools, boring machines, and industrial The use of scales, tower equipment, etc. fell more than 8 percentage points. The number of products falling behind and the magnitude of the products are large, which was relatively rare before. However, people in the industry believe that the price fluctuations are usually large in the first quarter. The future price trend needs further observation. In addition, of the 119 major products of China National Air Lines, cumulative cumulative growth for the first 4 months was 65, which accounted for 54.62% of all reported product varieties; and production of 54 products decreased compared to last year. The report disclosed that the completion of the major economic efficiency indicators of the national machinery industry in the first four months was relatively stable, with the total asset contribution rate being 12.73%, which was 0.22 percentage points lower than the national industry (12.95%); the liquidity turnover rate was 1.95 times. Compared with the national industry (2.41 times), it was 0.46 times slower; the cost-cost margin was 6.61%, 0.87 percentage points higher than the national industry (5.74%), and the main business income was 6.12%, which was higher than the national industry (5.3%). 0.82 percentage points. At the end of April, the capital preservation and appreciation rate was 114.41%, and the asset-liability ratio was 56.89%. From January to April, the main business income of China's machinery industry enterprises was 5,896.171 billion yuan, up 12.75% year-on-year, 0.87 percentage points higher than the previous month (11.88%), and 0.9 percentage points higher than the national industrial growth rate (11.85%). As of the end of April, the total current assets of machinery industry enterprises in China was 0.7574889 billion yuan, a year-on-year increase of 10.7%, and an increase of 0.59 percentage point from the previous month (10.11%), of which accounts receivable amounted to 274,198 million yuan, a year-on-year increase of 13.95%. 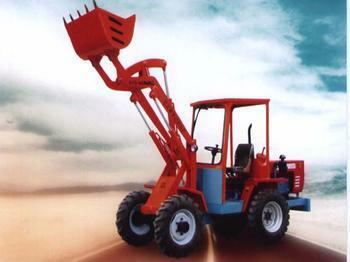 Among the 13 industries in the China National Machine Federationâ€™s statistics, with the exception of the cultural and office equipment industry which decreased by 6.12% year-on-year, the accounts receivable of the other 12 industries increased year-on-year, of which the heavy mining machinery industry (22.66%) recorded the fastest growth, followed by Agricultural machinery industry (20.56%), the third is the automotive industry (18.07%). From January to April, the national machinery industry aggregated 77,612 enterprises, of which 14,087 were loss-making enterprises with a loss of 18.15%. The loss of loss-making enterprises totaled 40.97 billion yuan, an increase of 6.494 billion yuan from the previous month (34.503 billion yuan), an increase of 4.772 billion yuan year-on-year. In terms of company size, among the 1,744 large-scale enterprises, there are 327 loss-making enterprises with a loss of 18.75%, losses of 11.926 billion yuan, an increase of 2.236 billion yuan from the previous month (RMB 9.69 billion), and 9736 medium-sized companies. Among the 2,246 loss-making enterprises with a loss of 23.07% and a loss of 11.843 billion yuan, an increase of 1.764 billion yuan from the previous month (10.18 billion yuan). Of the 66,132 small-scale enterprises, 11514 were loss-making enterprises, with a loss of 16.2. %, the loss amounted to 17.128 billion yuan, an increase of 2.495 billion yuan from the previous month (146.33). The fall in the growth rate of investment in fixed assets of the machinery industry, and the continued low growth of finished products in stocks and inventories all reflect the trend of future industry movements will be relatively flat. Luo Baihui, chief analyst of Jinmo Machinery Network, believes that overall, the macroeconomic environment has recovered from last year and the demand situation is slightly better than last year. It is expected that in the next few months, the machinery industry will continue to be relatively stable at the current low level. The speed of operation throughout the year is expected to be slightly higher than last year.